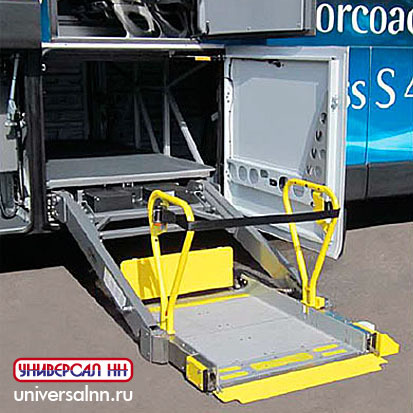 The Ricon Mirage F10X is the only low-profile motorcoach wheelchair lift providing maximum space efficiency, automatic convenience and the security of the Ricon Safety Zone. 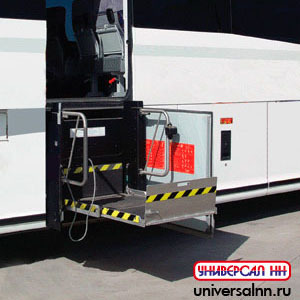 The exclusive, floor-mounted F10X cassette design yeilds a large, horizontal luggage bay area that enables drivers to quickly load more suitcases and larger parcels from both the curb and the street side of the coach. With the press of a button the Mirage F10X automatically deploys, lowers, raises and stows — the latest innovative example of why Ricon Corporation is the world leader in motorcoach accessibility. For complete features and specifications, download the Mirage F10X product brochure.